Providing you the best range of boss 122 gp silicone sealant, boss 352 sealant and boss polyurethane foam sealant with effective & timely delivery. 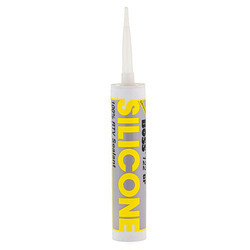 BOSS® 122 RTV silicone sealant is a one part acetoxy cure adhesive sealant that is suitable for general construction sealing and adhesive applications. This product will adhere to clean metal, glass, ceramics and plastic surfaces. BOSS® 352 is a high-quality paintable acrylic sealant for gaps & cracks. 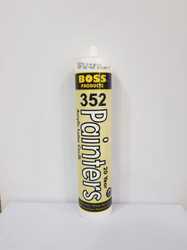 BOSS® 352 paintable sealant is designed for interior use. BOSS® 352 paintable sealant forms a tough, flexible, resilient bond to all building material surfaces. It has excellent resistance to water, weathering and moisture vapor. BOSS® 352 cures to produce a flexible seal that is non-yellowing. Joints with movements up to 15%. Recommended for filling gaps between doors and window frames during installation process. Very good adhesion on many porous substrates and aluminium. Connection joints in the building industry. Joints between window perimeter, skirting-board, & floor and brickwork, etc. BOSS® 333 is a ready-to-use, multi-purpose, polyurethane foam that expands to three times its original volume on contact with air. The expanding action fills holes, cracks and gaps more completely than standard caulks. BOSS® 333 has excellent insulating properties and superb adhesion to virtually all building materials. Looking for Boss Sealant ?